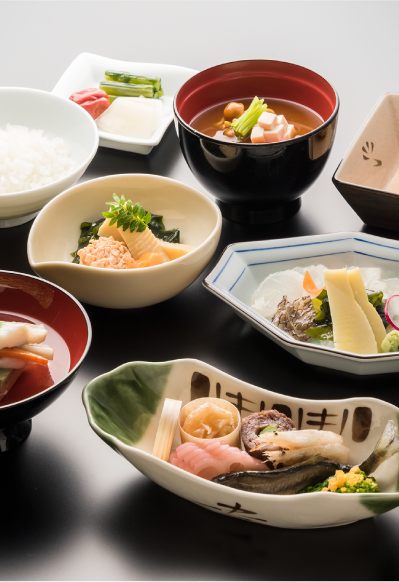 Interest in Japanese food has been growing around the world following its selection as an intangible cultural heritage by UNESCO. ANA was a market frontrunner in providing Kaiseki-style in-flight meals, and we at ANA Catering Service have always supported innovation through the advanced culinary techniques we employ. We have built a global quality improvement network in order to share the fundamentals of Kaiseki cuisine with our customers worldwide. 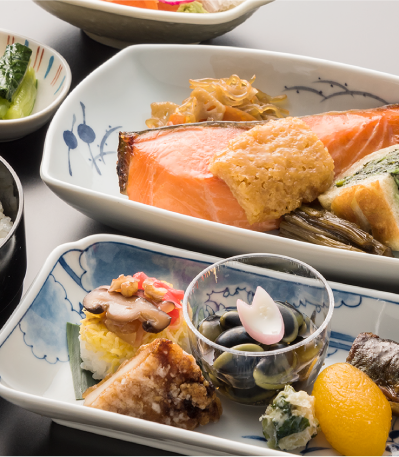 For flights both to and from Japan, ANA Catering Service provides cooking guidance regarding the use of fresh, local ingredients in in-flight meals.